On Tuesday, fifth-grader Tara Atkins was devastated after her pet pigeon, named Foresta, went missing from her Montana home. The friendly bird had lived her entire life as a house pet, so Tara knew it was especially urgent that she be found. But as it turns out, Foresta found her first. Just the following day at Tara's elementary school, teacher Rob Freistadt had a surprise encounter while walking with principle Vanessa Nasset. "I hear this bird flapping its wings behind us," recalls Nasset to the Independent. "I start screaming and it lands on Rob's head." Amazingly, the bird had managed to find her owner -- despite the fact that the school is 15 miles from their home and she had never been to town before. 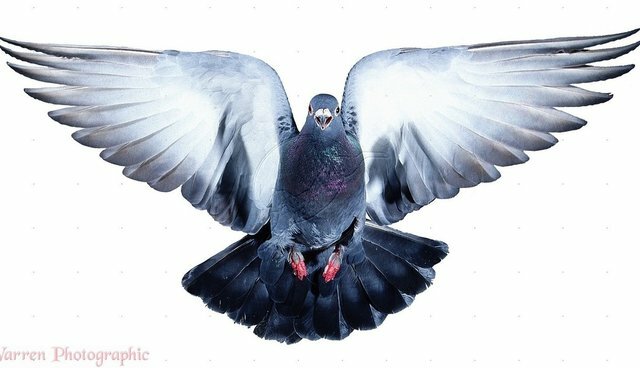 Nasset and Freistadt, of course, had no way of knowing that the pigeon was a missing pet. Because the bird seemed unafraid of people, Nasset rounded up a few adults -- and even a police officer -- to try to capture it, but to no avail. Eventually, Nasset had the idea to enlist the help of one of the students who had a bit of knowledge on pigeons. That student, of course, was Tara. She recognized her pet immediately. "I was pretty happy," she says. Tara's mother Krys arrived to pick her up from school, she could hardly believe who her daughter was carrying with her. "It is the most amazing thing," says Krys. "I just don't know. What is the universe made of?"